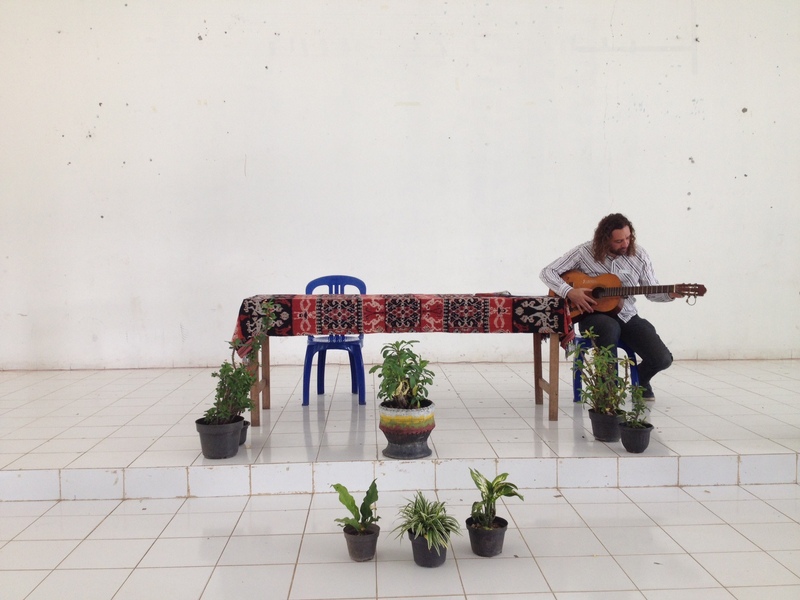 Ferg got to perform a few solo gospel tunes in East Sumba, Indonesia. In late November 2014, he led a small team from his church (8 people ranging in age from 18-75) on a trip to visit some of the World Vision projects they support. Adelaide West Uniting Church has had a partnership with World Vision for around 5 years but this was our first opportunity to gain some real understanding of the work they actually do. The dedication and work ethic of the WV field staff were really impressive, and Ferg and his team were really impressed by the ways they are working to ensure that the education, food security and community development work becomes self-sustaining (it’s a 15-year project which is about half way through). They also established links with one of the Uniting Church’s sister churches, the Christian Church of Sumba (GKS). This shot was taken by Ferg’s daughter, Lizzie Ferguson, when they visited the GKS seminary (the school for training teachers and pastors). It wasn’t until much later that he realised what a great video clip set this would have been.